Following the extraordinary success of the DV MICRO 50 —with the DV Micro and DV Little heads we were the first to introduce such a kind of guitar products design, that marked a new standard for ultra-portable and great sounding amps—the DV LITTLE 50 M offers a wide range of tones, from clean to very high-gain distorted lead tones, featuring huge amount of gain and a properly scooped EQ on drive channel to fit needs of hard rock and metal players. The DV MICRO 50 M features an onboard warm and sweet-sounding reverb, plus a send/return FX loop to interface your favorite stompboxes and multieffect units. It also includes a Headphone output and an AUX input for iPod or MP3 player so you can practice anywhere and anytime you like. This amp also features a Dual Voltage Switch 120V/240V to use the amp in countries with different voltages, without having to carry an external converter! At DV Mark, Marco De Virgiliis invested a lot of resouces in R&D to develop a proprietary power amp , designed to respect and glorify the tone of your instrument. The DV MICRO 50 M power amp gives you faster attack, improved dynamic response and warm, natural musical sound. 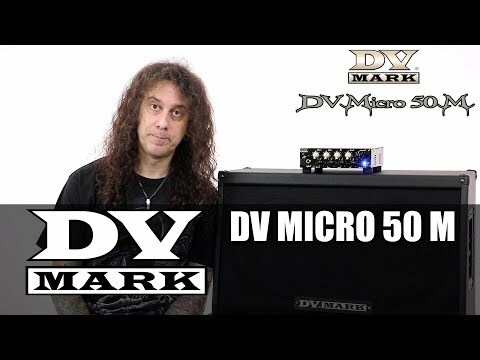 Guitarristas talks about the DV Mark EVO1 , DV Micro 50 M and DV Micro 50 CMT heads. March 28, 2017, 11:19 a.m.
Guitarristas, one of the most importants guitar websites in Spain, talks about our new heads DV Mark EVO1 , DV Micro 50 M and DV Micro 50 CMT. 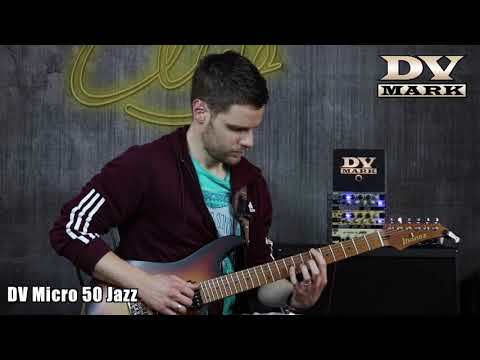 Luca Mantovanelli plays all the DV Micro 50 head models in 3 minutes! 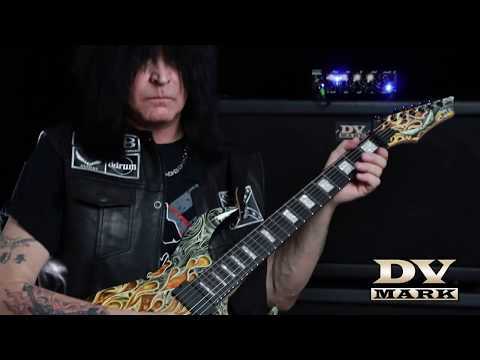 Michael Angelo Batio jamming on DV Micro 50 M.